The Vancouver Aquarium has won a temporary injunction forcing a North Vancouver filmmaker to remove four minutes and 46 seconds worth of material from a critical documentary ahead of a court battle over copyright. The Vancouver Aquarium has won a temporary injunction forcing a North Vancouver filmmaker to remove nearly five minutes worth of contested material from his hour-long exposé of the facility. B.C. Supreme Court Justice Jeanne Watchuk ordered Gary Charbonneau to excise 15 segments from Vancouver Aquarium Uncovered pending a court battle over copyright. The aquarium claims the movie relies on images taken from the organization's website and blog. Speaking on the courthouse steps after Watchuk's ruling, Charbonneau painted the decision as a victory for him because the aquarium has originally sought to have the film removed from the internet in its entirety. "It's a wonderful day for us, and we're quite happy," he said. "The film still stays up." In deciding to grant the injunction, the judge had to determine if the legal issues raised by the aquarium warranted a trial; she said they did. She also determined that "irreparable harm" would be done by leaving the contested parts of the film online. Charbonneau claims any use of the allegedly copyrighted material in the film is fair dealing for the purpose of research and education. He claims he was also covered by the Copyright Act because use of material was for non-commercial purposes and the source of the material was credited at the end of the film. Aside from material produced by and for the aquarium, some of the images in question include pictures taken by others at the aquarium which were found in a Google image search. Charbonneau's lawyer said the trial will raise some interesting questions about ownership of copyright in a digital age. 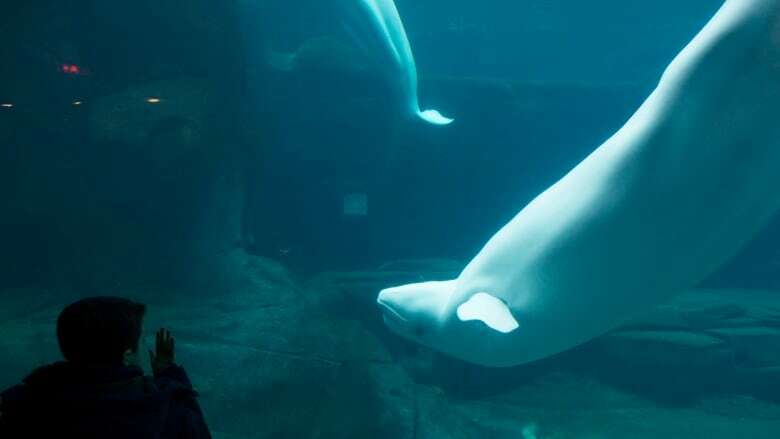 Charbonneau's documentary revisits a very public debate that divided Vancouverites in 2014, when the outgoing Vision park board imposed a whale breeding ban on the aquarium. That decision resulted in a B.C. Supreme Court challenge, but the ban was lifted by a new NPA-led board before the case could be heard. Since 1996, the board and the aquarium have agreed not to keep wild-caught whales and dolphins except for those that were rehabilitated and could not be released. But the breeding of captive animals is still allowed. In response to Charbonneau's criticisms, the aquarium put out a blog posting which said his video "is not a documentary, as it's not grounded in truth." The issue has received international attention with the success of another critical movie: Blackfish. Last month, theme park operator SeaWorld Entertainment announced plans to stop breeding killer whales. The ones currently in captivity at its parks will be the last. Last summer, a bill was tabled in the Senate that would phase out the captivity of whales, dolphins and porpoises in Canada. The move came after Ontario became the first province in Canada to ban the buying, selling or breeding of orcas. What's the future of zoos and aquariums?